FamousHindi.Com Is A Online Blog/Website. 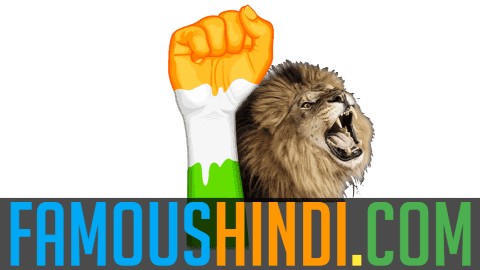 Where You Can Find Awesome Hindi Content Such As - "Motivational Story In Hindi, Inspirational Story In Hindi, Quotes, Biographies In Hindi, Suvichar, Social Media, Lifestyle, Stories, Inspirational Quotes, Aaj Ka Itihas." All Things Are Available In Hindi.